French Fry Dipping Cone: Dip and devour finger foods. The French Fry Dipping Cone provides a fun and convenient way to serve and display delicious finger foods. Load up the cone with veggies, french fries, cheese straws - you name it - and then spoon in your dip! The removable dipping tray makes prep, refills, and clean-up a breeze. 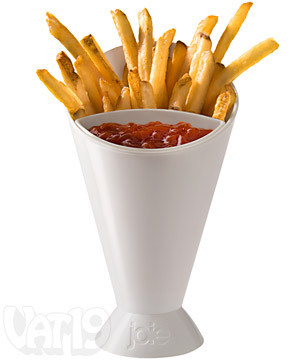 The French Fry Dipping Cone is made from BPA-free plastic and is dishwasher safe (top rack only). Great way to serve finger foods! The French Fry Dipping Cone can, despite its deliciously specific name, be used for more than just french fries! 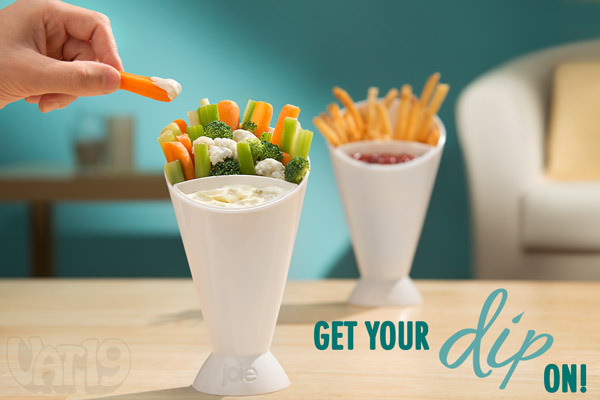 Serve veggies and other tasty, dippable finger foods in this fun serving cone. Dip and devour veggies, french fries, and other finger foods. The French Fry Dipping Cone consists of a cone and a removable dipping dish. When it's time to refill the ketchup or sweet veggie dip, simply remove it from the cone and fill 'er up! 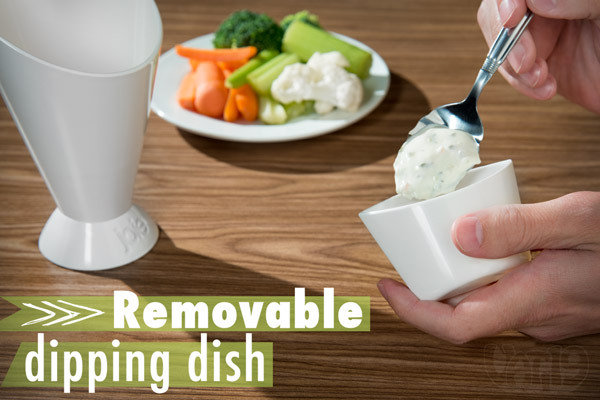 The removable dipping dish makes refills and clean-up easy. The French Fry Dipping Cone is easy to clean up; just toss it in the dishwasher! 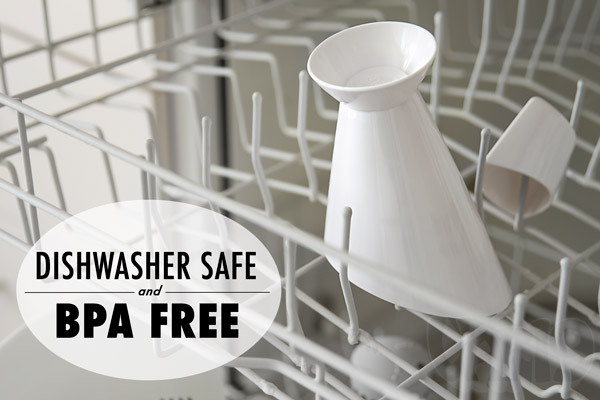 The Dipping Cone is made from BPA-free plastic and is top rack dishwasher safe.